See guys what I received as an e-mail yesterday. Will who is born in Malaysia but presently working in Melbourne, Australia, got this tattoo inked by Lina at Borneo Ink, the finest tattoo parlor in South East Asia. 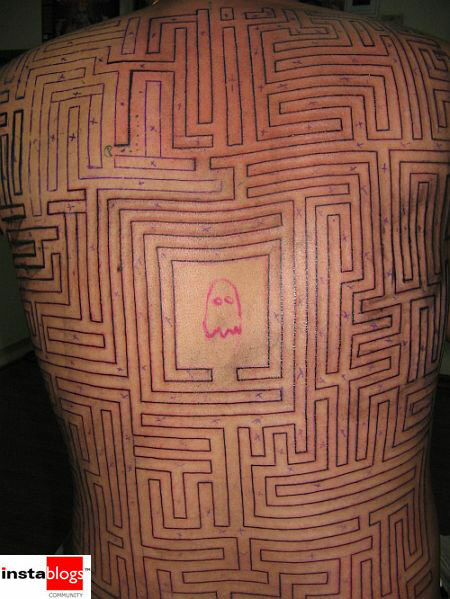 His tattoo, which is a maze, signifies his own perception of the path of life. I hope Will soon finds his ‘true self’ so that we all can see his latest updated tattoo also.